Va Va Voom Nicki’s New Video!! Nicki Minaj’s official music video for her new single “High School” featuring her Young Money boss, Lil Wayne, Birdman and Emilio Rivera as “El Jefe”. The steaming hot visuals directed by Benny Boom. New track from Michael Jackson Chris Brown – Fine China…heavily influenced by the late MJ! Can’t wait for the official video! Will.I.Am’s Lookalike KILLS The Voice! Imagine a duet with Matt and Will? Can we be honest for a minute..? Ok here goes…We really REALLY don’t get the hype about this kid *covers ears* Yes…we don’t get it! Everyone seams to be on this kid as if he is the new Drake or something but really?? However, on a brighter note we do like this song so I guess we’ll see what he’s got to come next! Wretch 32 is back with his new single ‘Blackout’ featuring Shakka. This is the first single off Wretch 32 new album due for release later in 2013. Sounds like this album is going to be huge! Just got sent this link…we like we like we like!!! 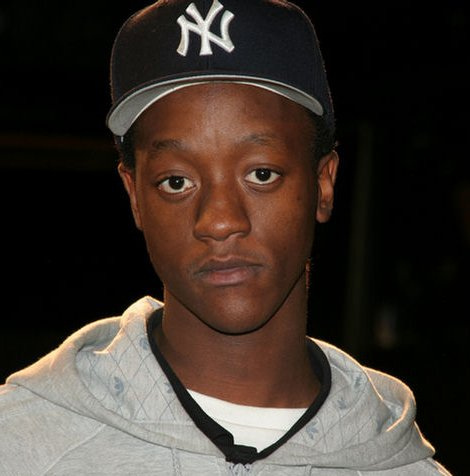 Zimbabwean born emcee Kulez reps Norwich via London..
Kulez began street battling on Jumpoff in the noughties and has been an artist since 2006. Already having had radio support from ex Kiss FM DJ Big Ted and 1Xtra’s DJ Semtex, Kulez cemented his stature by supporting a host of UK the hip hop fraternity – Sway, Devlin, Ghetts, Sonny Jim to name a few! Kulez has managed to make a niche for himself in the hip hop scene as has been visible on MTV Base and Channel U.
Hip-Hop Fans, The J Dilla “Crate Diggers” Trailer Is Released! Talib Kweli, DJ Spinna and J. Rocc join Ma Dukes in showing the public a glimpse into the creativity of J Dilla, and even a look inside part of his record collection. Fuse.TV’s web series “Crate Diggers” has profiled the likes of DJ Jazzy Jeff, Diamond D and others. Now, the web team at Fuse is taking a look at the record collection and legacy of J Dilla (f/k/a Jay Dee). While the Detroit, Michigan producer/emcee and Slum Village co-founder tragically died in 2006 from complications due to Lupus, some of his family and storied collaborators are helping fans understand his musical ingredients.